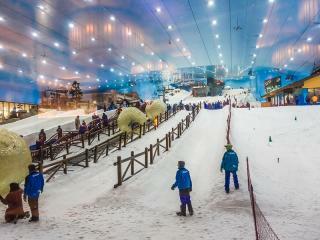 Located within the Mall of the Emirates, one of the world's largest shopping malls, Ski Dubai is the ultimate family snow experience and is the Middle East's first indoor ski resort. 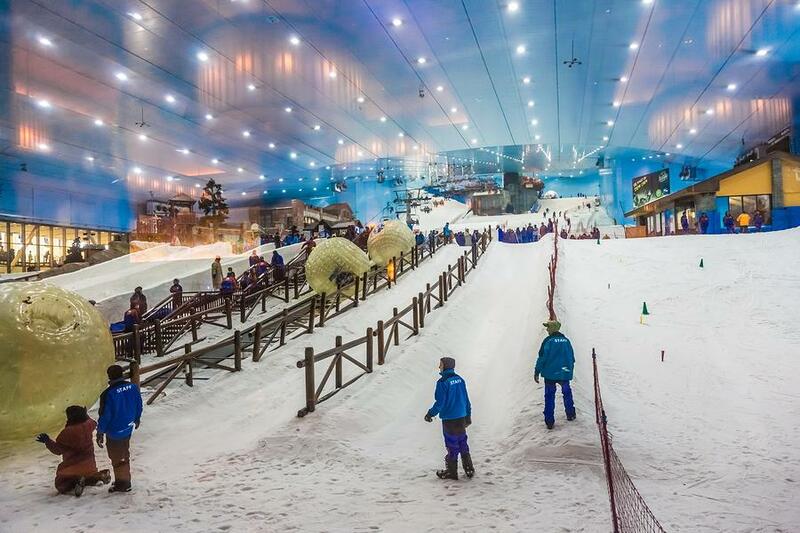 The third largest ski resort in the world, Ski Dubai offers 22,500 sqm or 3 football fields of space covered in real snow year round including a 3,000 sqm snow park complete with snow cavern. 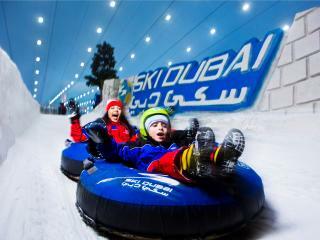 Ski Dubai maintains a constant, comfortable temperature of -1C to -2C and features a freestyle zone and 5 different runs for various skill levels with the longest run measuring 400m. At 85m high (or approximately 25 storeys), the park is 80m wide and offers plenty of room to have fun. Boasting a fantastic winter setting with mountain themes, Ski Dubai offers a huge range of snow activities including skiing, tobogganing, snowboarding and general snow play as well as the opportunity to get up close and personal with the resident Snow Penguins. There is also a Giant Ball run, an exciting 10ft ramp, tube slides or the more relaxing chairlift that allows you to see the sights from a height. 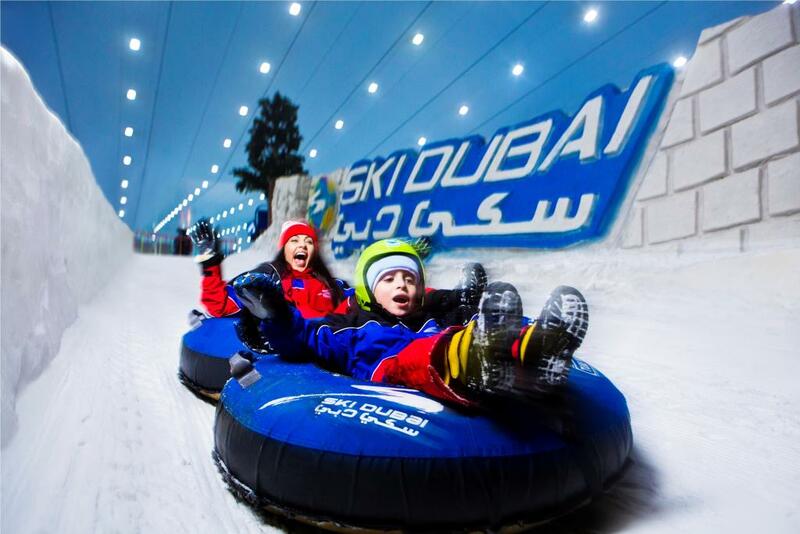 When visiting Ski Dubai there's no need to worry about appropriate clothing or equipment as the park has taken care of everything, with skis, snowboards, winter clothing and other equipment all available for guest use. With 5 runs for all skill levels, there's something for everyone at Ski Dubai with heights and gradients to challenge even the most confident skiers and a run with a fall of more than 60m. There's also the first indoor black run in the world or the more gentle slopes for beginners. The Freestyle Zone is the perfect place for experienced snowboarders and skiers to practice their best stunts while the 3,000 sqm snow park is always a popular place for families to enjoy some interactive fun together. If all the snow play gets too much, there are also a number of themed restaurants where you can relax and enjoy a bit to eat including St Moritz Café and the mid-station Avalanche Café which offers views of the slopes.